In this post, we are going to see the TWITTER SENTIMENT ANALYSIS by using JAVA as a programming language. We are using OPENNLP Maven dependencies for doing this sentiment analysis. Following is that Maven Dependency. As you can see from the above pom.xml file, we are using three dependencies here. A couple of these are for twitter namely twitter4j-core and twitter4j-stream. The remaining dependency is opennlp-tools which is responsible for depicting the nature of tweet. OpenNLP will tell you whether a tweet is positive or negative. For building this model, we are going to use following input file. 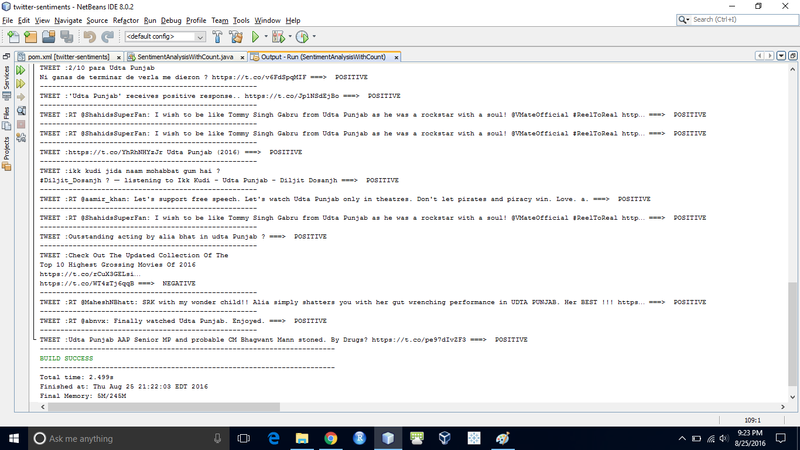 I got this input file from this link. This file contains two columns separated by tab character. First column contains either 0 or 1 where 0 indicates negative and 1 indicates positive. Second column contains the actual tweet. 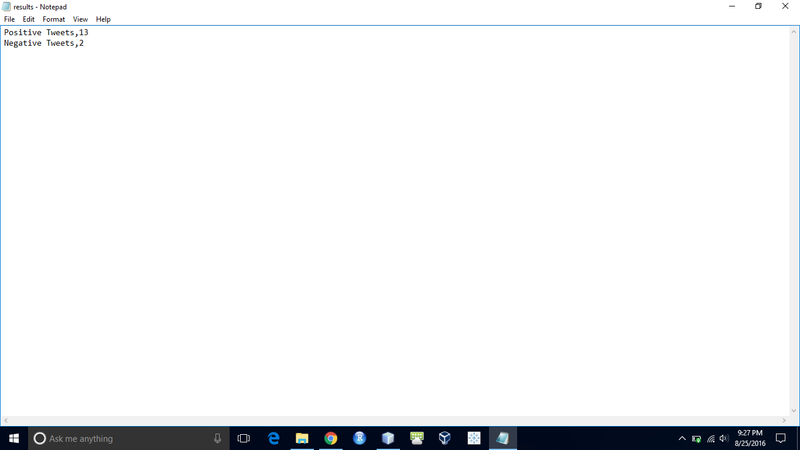 Following is the input text file. 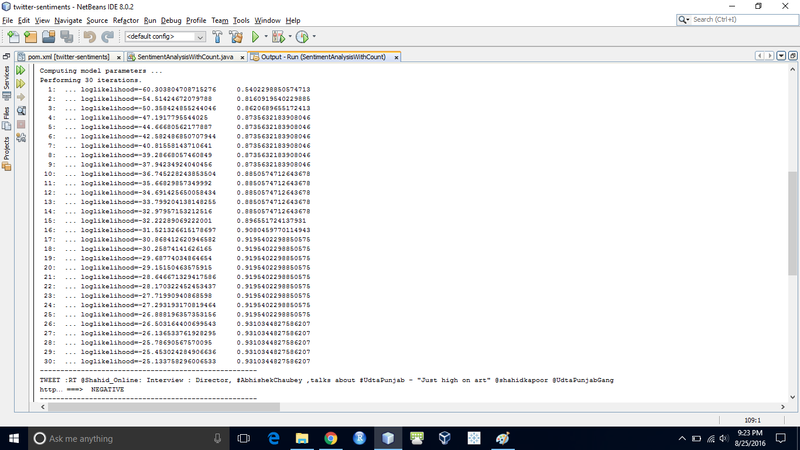 By using above input file, we are going to use following code in order to decide the tweet that we have fetched is positive or negative. Once you execute this code, model will be created and then by using twitter API, tweets will be fetched which are then going to be classified either as POSITIVE or NEGATIVE. 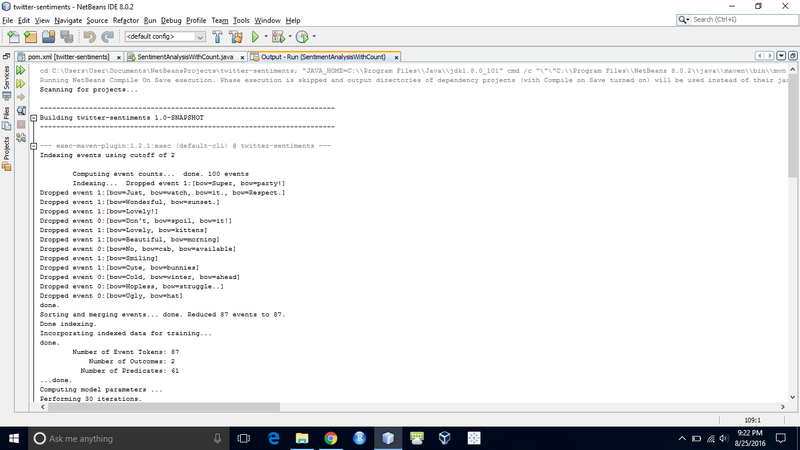 The final output will be stored in an output file with name results.csv. The final output looks something like this. 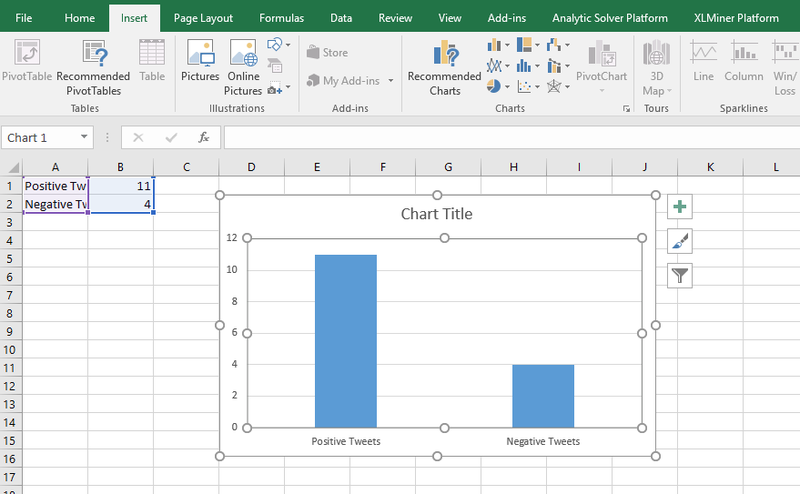 If you want to graphically represent the output of positive and negative tweets, you can use Microsoft Office Excel tool to do that. You can open results.csv file in Excel and after selecting the output, go to Insert and click on Recommended Charts. You will get the list of chart types and you can choose the suitable chart type for you. I did use Bar Chart and the output looks something like this. Kindly let me know if you have any concerns. Have a great time. Cheers.